The leaf on the left is done except for one little bit of black :D It is so much fun :D I love the colours and the shapes that are appearing in this. I haven't been working on this much because Phill asked me if I could make some toys for his friend's baby due in a month. Of course I said yes, it's a good excuse to stitch! 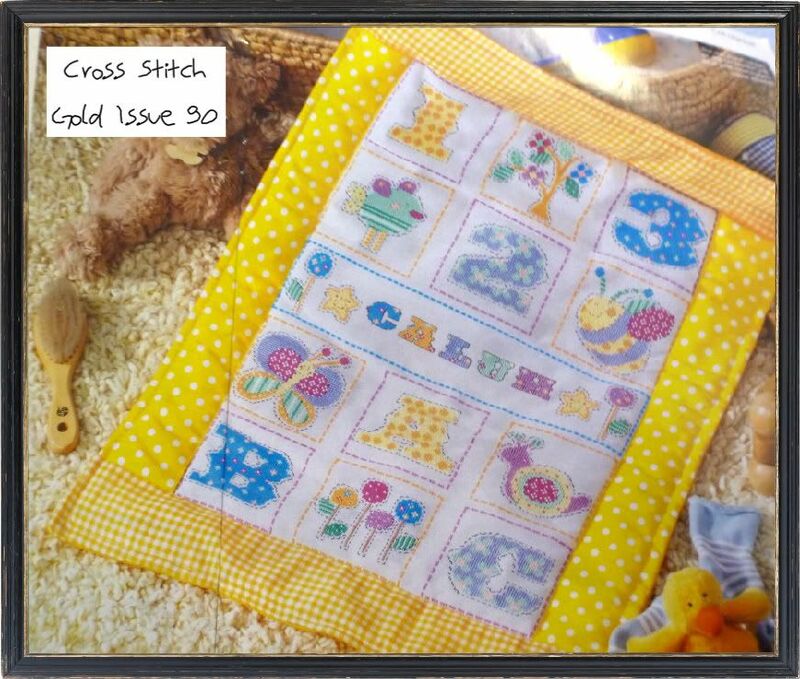 Now I had just bought this magazine and I loved the look of this quilt and I decided to turn the top and bottom halfs into a stuffed cube. I thought it would look wonderful. and it would be a toy. 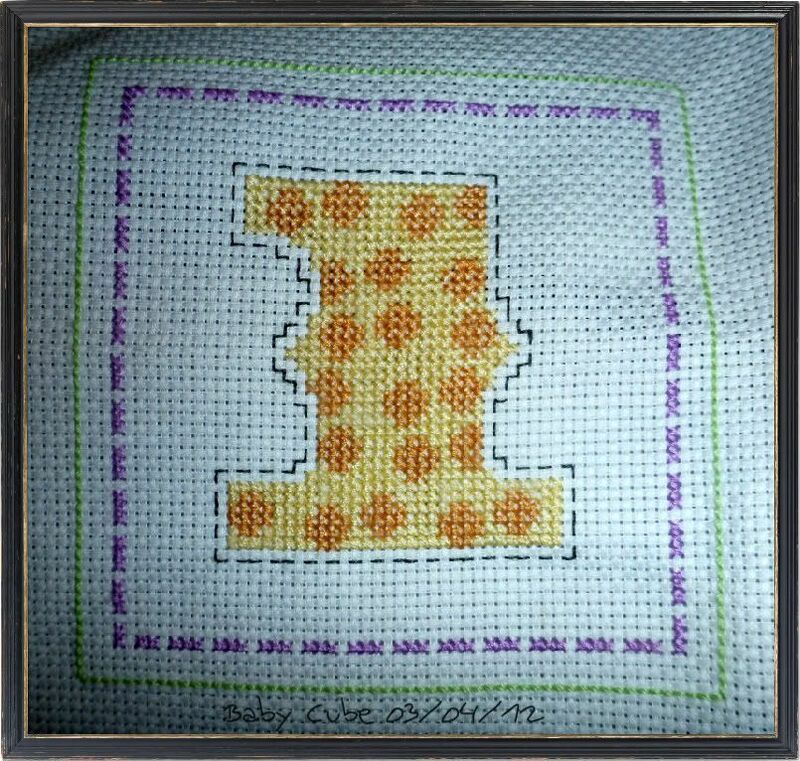 It stitches up really quickly the first side only took 1 day :D though the backstitch around the outside took a little longer. I'm using a topstitch thread for the outer backstitch so it's strong enough to hold together with a baby playing with it. I still love working with this colour though I wish it would photograph properly! The colours never seem to photograph red enough. So I have actually been busy :D Though not as busy as I would wish! Great stitching! The baby cube is going to be so cute. you have some wonderful projects going. It is also so nice to stitch with all those different colors I think, like the bold colors for the baby stuff and the much darker colors on your other project! congrats on all this stitching. 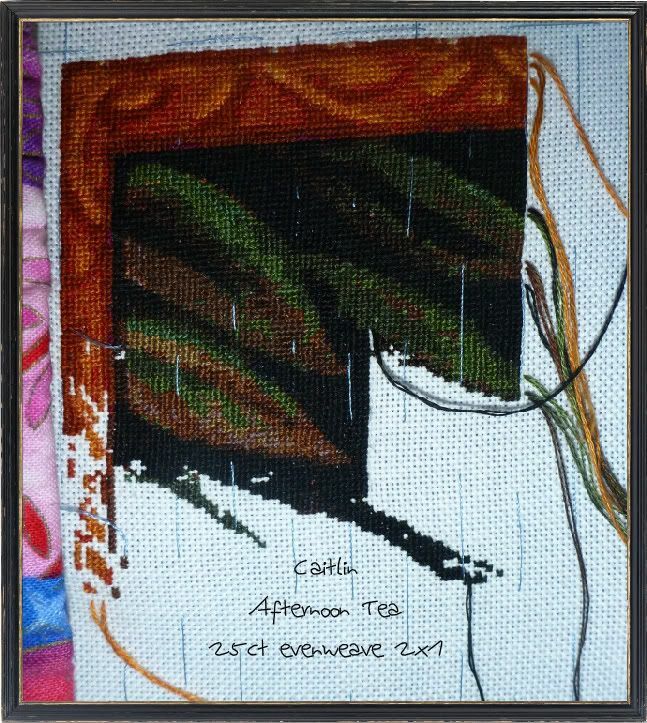 Beatiful progress on Afternoon Tea..I always love to see HAED updates. And I love seeing more and more of Jardin...one day I will try that floss! It looks so great Caitlin! 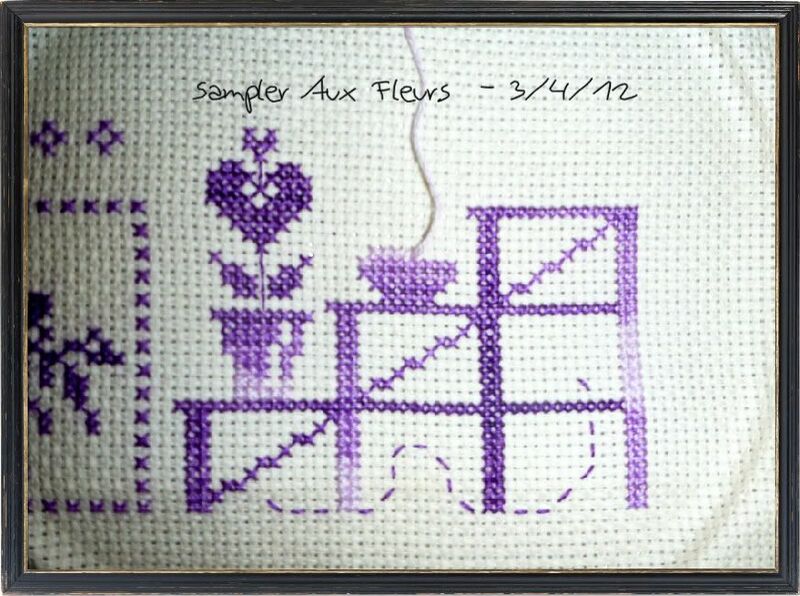 Spangler's are really great to stitch up - for whatever reason they're super fun to stitch. Maybe it's all the vibrant colors and fun shapes, I don't know. That is going to make such a wonderful toy - Can't wait to see it finished! Great progress on Afternoon Tea. I love the baby cube your making. Afternoon Tea is looking mighty fine as does Sampler Aux Fleurs. 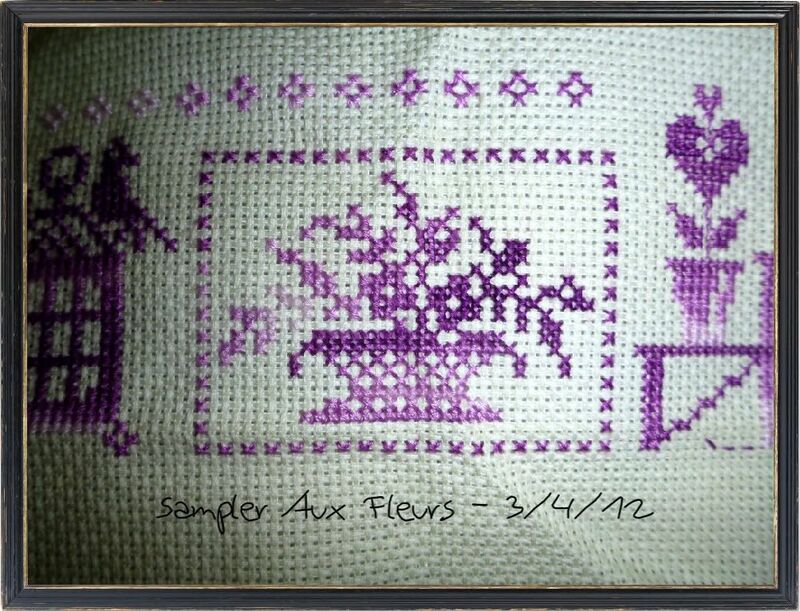 Lovely progress on your HAED and Sampler. Your cube is going to look great. Great stitching on all! I love the baby cube project! 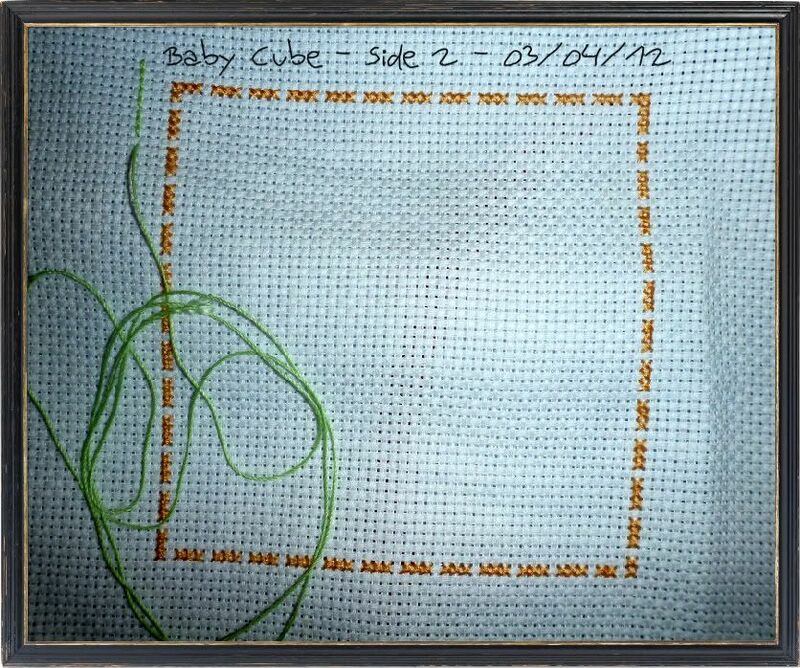 Lovely stitching and the baby cube project is adorable! Beautiful progress!! I love Afternoon Tea! !